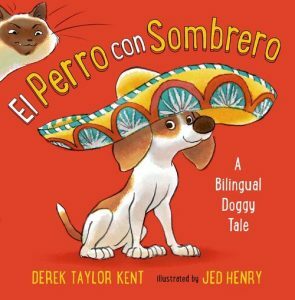 Multicultural Children’s Book Day Book Review: El Perro con Sombrero, A Bilingual Doggy Tale – Dig It, Daddy-O! Recently, I have been doing a lot of volunteering at my kids school. This has given me the opportunity to get to know not only the children in my kids classes, but also many students throughout the school. I help to run a reading program that provides free books to all the Pre- K students; its one of my favorite ways to help out. The shock and excitement that you see in these young readers eyes when they realize they get to keep a brand new book is inspiring. The books are all be laid out on a big table that they would walk around and pick out which one they wanted to select as their new book. Our school is in New Rochelle, New York, the states 7th largest city. It is located just 15 miles north of Manhattan and is packed full of diversity. Hispanic or Latino students make up 51% percent of the school population, according to NYSED’s Student Information Repository System data. Can we say that the books on the table were an accurate reflection of our community? No way. Looking at all the books laid out on that long table, I was saddened by the lack of diversity in the children books they were able to pick from. The students were going home with books that did not look like them and did not reflect their culture. This should be no surprise, in 2017, The Cooperative Children’s Book Center (CCBC) received (approx) 3,700 new books- 340 were about African/African Americans, 72 were about American Indians/ First Nations, 310 About Asian Pacifics/ Asian Pacific Americans, and 216 were about Latinos. We need books that children can identify with, to help them become part of the story, to see themselves in the adventure. Books can become your best friend for the summer or a warm blanket on a cold day and we need to feel a part of the journey, not just observing it. Yet, in a recent New York Times article we learn that “Children of color remain outside the boundaries of imagination”1. What we need are books that represent the diversity of our students, our community, our planet. El Perro con Sombrero sat on the kitchen counter, waiting to be read. “After dinner!” I tell the kiddos; the excitement of a new book can be too much and make eating your dinner even more boring. The book is difficult to ignore; it’s bright red cover and cute cartoon puppy, wearing a colorful Sombrero, is welcoming to all ages. Flip it over, and the back of the book reveals a vibrant green design with that same cute cartoon puppy, now sombrero-less and curled up among garbage cans, begging the question, will the lonely dog ever find a family? Literally, it’s written above the picture “Will this lonely dog ever find a family?”. Below the picture is our first Spanish translation, “¿Encontrará este perro algún dia un familia?” Already I am able to connect words, English to Spanish, Spanish to English. After dinner (and dessert! ), we were all eager started the book. 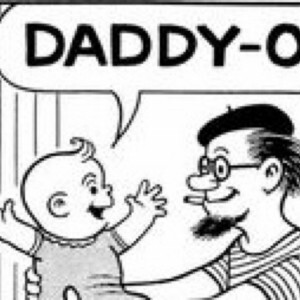 While reading it to my children, it became a game trying to figure out what the Spanish translation of each word was. My son, who studies Spanish in school, and my daughter, who studies Italian, were able to work together and identify many words. The storyline is delightful, a rags to riches tale of a Pepe the puppy who even with Hollywood fame and fortune, was still sad because he didn’t have a family. But he did have an enemy! Enter El Gato con Zapatos- the jealous feline who would do anything to become the number one star. A chase through the streets, crowded markets, and parades, that illustrator Jed Henry, so beautiful and simply, shows a sweet cat and dog play that had us laughing and quickly turning the page. But the chase leads to…of all places…a sandbox! 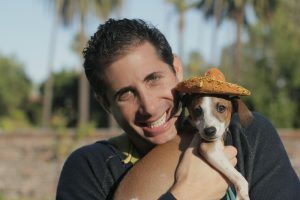 Pepe, no longer the number one star dog in a sombrero, is now a little lost dog again to be rescued this time not by a Hollywood producer, by a little girl and her whole family. It was what Pepe was chasing the whole time, a family! Of course, El Gato Zapatoa gets adopted too and they become one big happy family! This is a charming book on its own. A clever story that we have reread several times, and the hard cover will protect it on many upcoming family trips. But as a bilingual book, I like it is so much more. It helps in teaching my children about other languages- that there are people who speak differently, look different, believe different things us and that’s ok. We have to share this big planet. Hearing languages and seeing faces and that are different from ours will teach my kids about understanding differences, cultural awareness, and human respect. In many communities in America, children have parents that do not speak English as a first language and the simple story and bilingual design make it easy for all of us to read and learn together. The books message, that a dog named Pepe becomes famous and has a huge dog mansion, but inside he still dreams of a having family to love him, is one that we all can relate to. Derek Taylor Kent is an author, screenwriter, performer and director based in Los Angeles. Best known for his children’s books, his best-selling, award-winning books are treasured in hundreds of thousands of homes across the world. He and his wife, author Sheri Fink, are the founders of Whimsical World, an empowering children’s brand that publishes books and produces whimsical merchandise, inspiring entertainment, and magical experiences for children of all ages. Jed Henry is a talented illustrator whose work is inspired by Japanese and Asian art. He is know for his designs executed in the Japanese ukiyo-e style. Join the conversation and win one of 12 five book bundles and one Grand Prize Book Bundle (12 books) that will be given away at the party! We will be giving away a prize every 5 minutes! Myer, Christian. “The Arptheid of Children’s Literature” The New York Times. 15 March, 2014: Print. 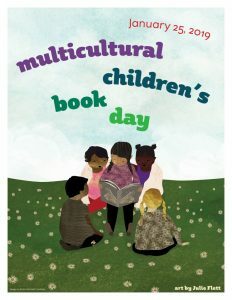 PrevMulticultural Children’s Book Day Official Reviewer!